Before I get to the DIY lighting round-up, I would like to apologize for not announcing the giveaway results yesterday as planned. Sadly, my computer was on the fritz which I hope doesn’t mean I have to replace it! It seems to running alright now so here are the results! There was only one entry so there was no need to use Random.org…..and that lucky entry is Stephanie! Congrats! I’ll be sending you an email to let you know how to get your tickets! And while we are on the topic of the home show, I urge you take a minute to check out the amazing lineup of Fall Home Show Upcycle Challenge entries (including my lighting project ) here and of course I would love it if you could cast vote for lamp (blog post about it here) . And if you are at the show you can actually take one of these amazing pieces home, as they are going to be up for auction with ALL proceeds going to Habitat for Humanity GTA. Love that organization, and equally love that I can be a part of helping them do their good work! Now, back to today’s topic. Ever since I completed my upcycle challenge project, I have been kind of obsessed with DIY lighting. I am definitely going to tackle another point at some point, and wow, there is a ton of inspiration about there. Today I’ve rounded up some great DIY lighting projects from around the web to share with you. Love this golden light bulb number from Brit & Co! For a more industrial look you can go with this rustic chandelier DIY from Black Oak Studios. 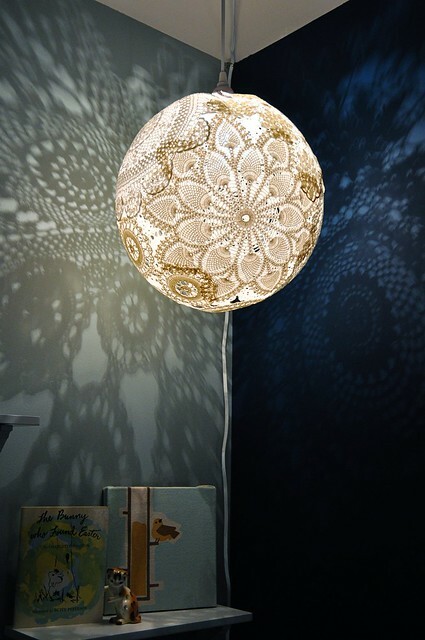 Although perhaps not ideal for a room where you need bright clear lighting, this gorgeous pendant DIY from Emmmy Lizzzy made from doilies is beautiful and gives off a lovely glow. 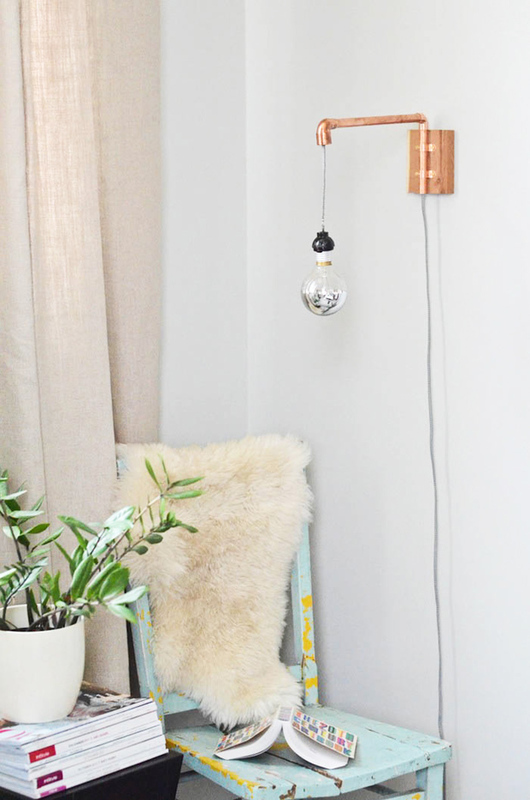 I love this DIY pendant lamp from The Hunted Interior made from a thrifted brass bowl. 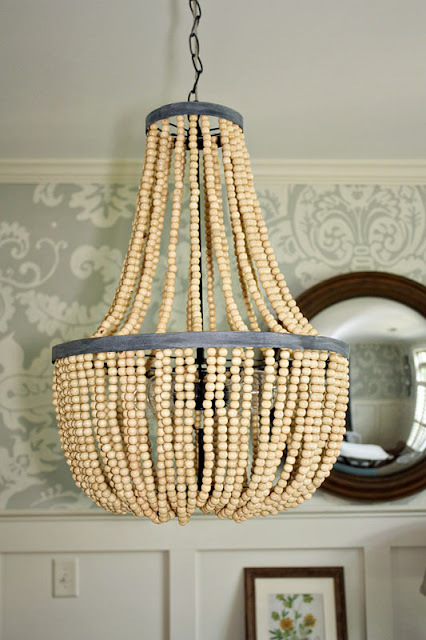 Although this DIY beaded chandelier from Gus and Lulu would be time-consuming, similar lamps can cost $500 or more in a store! And this one looks pretty damn close to the real thing. And how about this super cool Copper Pipe Wall Sconce created by Claire Zinnecker which she shared on Camille Styles! Pretty damn cool, right? People are just so creative! Another DIY lighting project is definitely in my future. Have you ever tackled a lighting project?